Librarians review books in the Brooklyn Law Library collection. Hornbooks Series: Hornbooks are published by West Group. 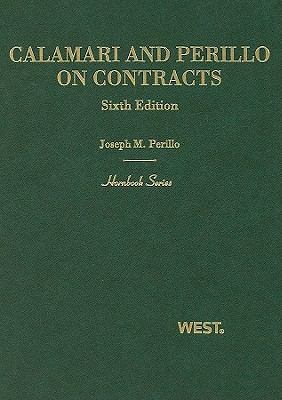 These are one volume mini‐treatises that summarize expl ain the law on subjects like criminal law, employment discrimination, property and real estate finance. Hornbooks provide an overview of the legal doctrines, principles, and rules, focusing only on the most important issues and cases for the area of law being covered. Brooklyn Law School Library has both Hornbook series practitioner’s edition and Hornbook series student edition. Understanding Series: The Understanding series is published by LexisNexis and written by legal scholars. They provide straightforward, clear analysis of a particular area of law highlighting important issues and citing leading authority. 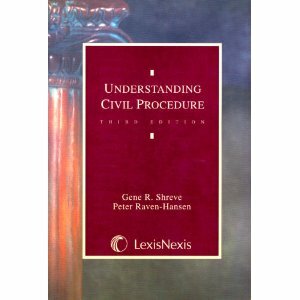 Like hornbooks, the Understanding series is written with law students in mind and tend to provide the most detail on the more complex issues. The Understanding series typically provides less treatment to each topic than hornbooks, but significantly more than Nutshells. Brooklyn Law School Library has over fifty Understanding series titles covering administrative law, bankruptcy, conflicts of laws, criminal procedure, and evidence. 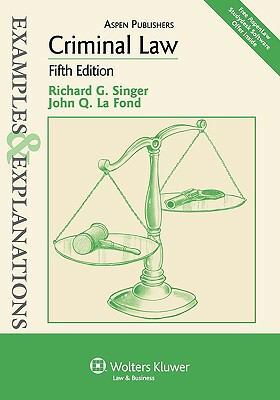 Exa mples and Explanations Series: Examples and Explanations series are published by Aspen, a branch of Wolters Kluwer Law & Business. Each title begins with a general introduction to a topic and a basic explanation of the major issues specific to that area of law. Also included are a series of examples and corresponding explanations that provide analysis of the examples. The examples range from the simple to the more complex to help students apply their knowledge, and thus better understand complex concepts. Brooklyn Law School Library has a growing collection of this series covering many topics including trusts and estates, evidence, torts, criminal law, and civil procedure. 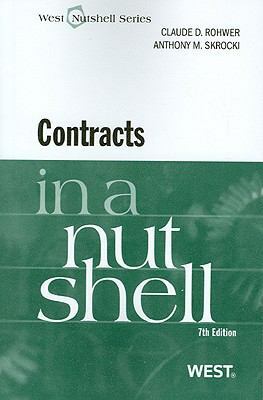 Nutshells Series: The Nutshell series is published by West Group and consist of short, one volume paperbacks that present a general overview of an area of law and provide citations to leading authority. Nutshells should not be used as a source of in‐depth treatment and analysis because they give just enough information to provide students with a general understanding of major concepts, polUnderstanding Law Student Study Aidsicies and relevant rules for any given topic. Brooklyn Law School Library has over five hundred titles in this series dating back to the 1960’s. Library users will find Nutshells on many 1L subjects and also on more advanced subjects like toxic torts, elder law, sea law, electronic discovery and international human rights. 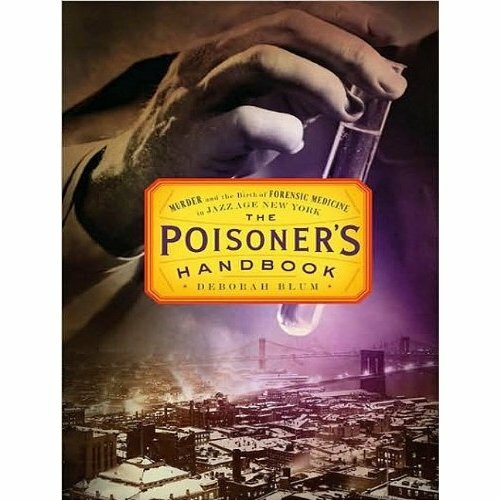 Discover the poisons that brought New York City to its knees in “The poisoner’s handbook : murder and the birth of forensic medicine in Jazz Age” by Pulitzer Prize-winning science writer, Deborah Blum. The heroes of her book are Charles Norris, New York City’s first Medicinal Examiner, and Alexander Gettler, his able assistant and expert toxicologists. From the vantage of the New York City Medical Examiner’s Laboratory, it also becomes clear that murderers are not the only toxic threat–modern life has created a poisonous playground, and danger lurks around every corner. “The Poisoner’s Handbook” is structured like a collection of linked short stories. Each chapter centers on a mysterious death by poison that Norris and Gettler investigate. Blum also focuses on the real villains – the poisons – and their deadly maneuverings through the body. The chapters detail Norris’ death investigations and are classified according to the chemical compound detected in corpses by Gettler. Described are a suite of deadly substances including chloroform; bad booze because of Prohibition; industrial toxins such as radium; and carbon monoxide from illumination gas and automobile exhausts. In each chapter It is a contest between murder suspects and Gettler’s laboratory methods, which improved markedly during the decade. Each case presents a deadly new puzzle and the need to create revolutionary experiments to tease out the wiliest chemical compounds from human tissue and perform trailblazing chemical detective work. Blum sets forth the facts of such cases, attentive to chemical clues the suspect overlooked but Gettler didn’t. Formative figures in forensics, Norris and Gettler become fascinating crusaders in Blum’s fine depiction of their work in the law-flouting atmosphere of Prohibition-era New York. Several years ago, I had the privilege of being sworn into the United States Supreme Court Bar. It was the day after Justice David Souter was mugged. As watched the justices take their seats, I was reminded that the justices were mere humans. They rocked back and forth in their large imposing chairs, tapped their fingers impatiently, and in one case, I saw a justice, who shall remain anonymous, take a short nap. The humanity and the humor of the SCOTUS (Supreme Court of the United States) is captured in Robert Schnakenberg’s latest book, Secret Lives of the Supreme Court: What Your Teachers Never Told You About America’s Legendary Justices. Schnakenberg exposes these wizards behind the bench. For example, in Secret Lives, we learn that Sandra Day O’Connor created the court’s first Jazzercise class; Thurgood Marshall was hooked on soap operas; and that one of the justices was a member of the KKK. To learn more fun facts, just pick up this title at Brooklyn Law School Library. This book might be just what aspiring lawyers and hard working law school professors need. Especially to prepare for the Senate’s upcoming debate and vote on the nomination of Judge Sonia Sotomayor to the Supreme Court. I submit that this book is just the antidote: fascinating romp into the powerful halls of SCOTUS, filled with large doses of sophomoric humor. We all deserve a good laugh! Robert Schnakenberg lives in Brooklyn, New York. He is the author of more than a dozen books, including Distory: A Treasury of Historical Insults, Sci-Fi Baby Names, Secret Lives of Great Authors, and The Encyclopedia Shatnerica—the world’s first A-to-Z guide to the life and career of William Shatner. Just keeping up with new (or new to you) websites, blogs and social networking tools, let alone your course work, can seem overwhelming. Did you ever think about all of the new titles that the library acquires weekly? How do you know what they are and where to find them? First, all of the titles in the library’s collection, whether an older title or a new one, are cataloged and in SARA, our online catalog, which is accessible from the library’s web page. You may search by keyword, title, author or subject. But if you just want to find out what new titles the library has, there are two resources available through SARA. One is the link to “Selected New Titles,” in the middle of the SARA search screen, which displays the covers of several new books and allows you to click on the cover and go directly to the bibliographic record for the title. There you can get the book’s call number and go directly to the stacks to retrieve the book. The “New Book Lists,” at the bottom of the SARA search screen, is another way to identify new books. A new list is posted every two weeks and by clicking on the date of the posting, you go directly to a subject arrangement of the new books. Click on the “Full Record” and you get the bibliographic record, including the call number, for that title. Then you can go to the stacks to retrieve the book. Most of the books that circulate are in the “Main Collection,” which is located in the library’s lower level. These books may be charged out to students for four weeks at the first floor circulation desk. Book jackets of new books are also displayed on the lower level bulletin board and a small selection of new books is displayed at the circulation desk. These books are available for immediate check-out. Finally, if you would like to recommend a title for the library to purchase, feel free to make your suggestion through the link at the bottom of the SARA search screen under “Suggestions.” If you include an email address in your recommendation, you will get a response from the library.